Baldwin in Georgina has an average list price of $606,263. 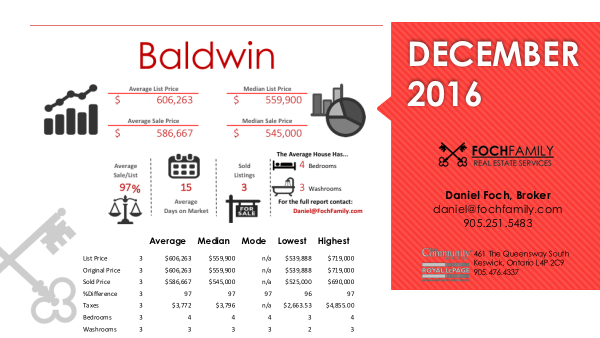 The average sale price for Baldwin is $586,667 with an average sale to list price ratio of 97 percent. The average time a listing spends on the market is 15 days. A total of 3 listings sold. The average house has 4 Bedrooms and 3 Washrooms. Request the full report using the contact box to the right.